You are here: Home / Our Blog / orthodontics / What’s so great about an orthodontist? Orthodontists, such as Dr. Kyle Childers, are more concerned with diagnosis, prevention, interception, and treatment of malocclusion, or what we call “bad bite,” of the teeth. 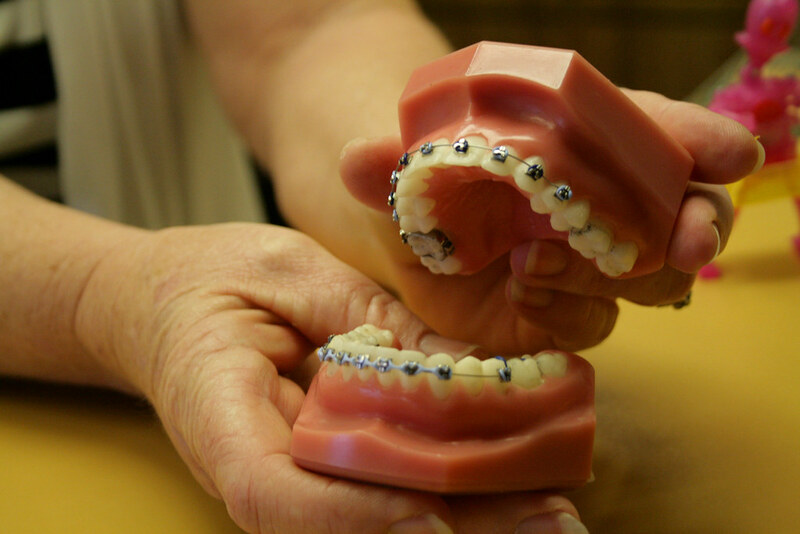 Orthodontists focus on tooth and jaw alignment and bite problems such as overbites and underbites, and are responsible for straightening teeth via bands, wires, braces, and other fixed or removable corrective treatment options, like braces and clear aligners. Orthodontists treat children as well as adults who wish to improve the function of their bite and appearance of their smile. Before becoming an orthodontist, doctors such as Dr. Kyle Childers start out in dental school and earn a dental degree, just like your general dentist. After dental school, those doctors who decide they are interested in the orthodontic field, stay in school for a few more years and become experts in orthodontia, which is one of nine specialties within the dental field. Isn’t it nice to know we have orthodontic experts here at Childers Orthodontics to help you through any type of treatment your teeth and jaw might need. To schedule your initial appointment at our Benton, Harrisburg or Herrin, IL office, please give us a call today! https://childersbraces.com/wp-content/uploads/2015/08/Dr-Childers-Family.jpg 346 600 DrCAdmin https://childersbraces.com/wp-content/uploads/2016/10/logo-childers-orthodontics.png DrCAdmin2014-04-09 06:03:232019-03-05 08:46:29What’s so great about an orthodontist?